In nearby fishing towns there are some who still say, 'He's so poor, he only eats lobster for dinner.' 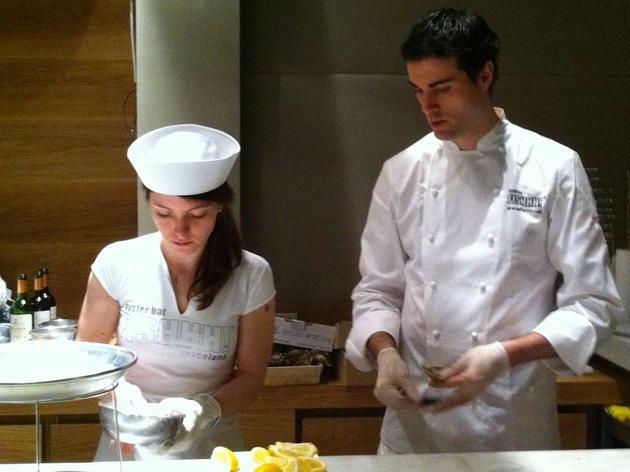 The saying may be a bit outdated, but keep an open mind: shellfish isn't just for the wealthy. Don't think about those seafood restaurants with shining cutlery and waiters with bowties and starched shirts. These places aren't the sort that feature an aquarium at the entrance with incarcerated crustaceans and mollusks awaiting their death sentence. 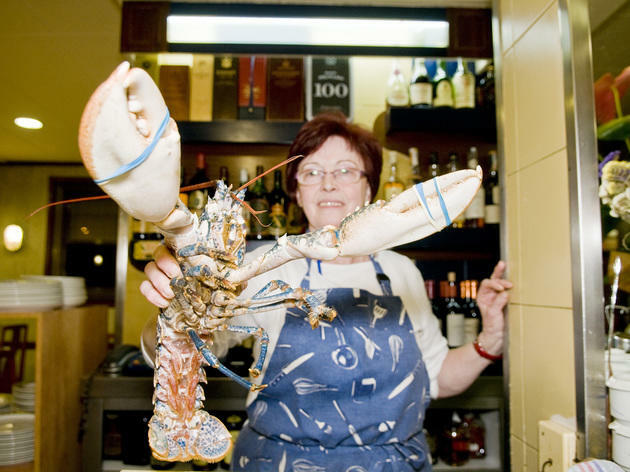 As luck would have it, in modern-day Barcelona, you can find restaurants where ordering oysters, lobster or crayfish is no longer out of reach. Lluís de Buen, the biggest oysterman in the city, knows his business and the customer's budget very well. 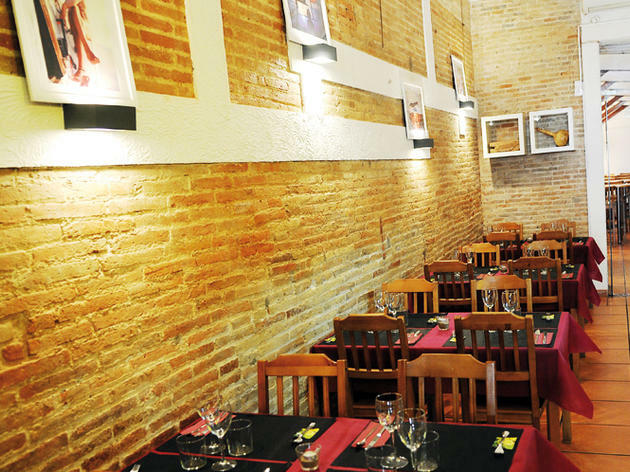 It's been eight years since he opened his restaurant on floor -1 in L'Illa Diagonal. And he called it Fishhh!, so how could we forget the name (though we might forget the right amout of h's to put in a search engine). From there he's come up with many eccentric yet successful, ideas, including opening oyster bars in other restaurants - you can find the Fishhh oyster bar in Hotel Omm and in Tragaluz - and forming a team of expert 'oyster girls' who will offer you fresh mollusks when you least expect it. The latest of Lluís's ideas will bring you back to L'Illa, but after regular business hours: he's decided to open Fishhh at night. When the whole floor, from FNAC to Caprabo, is already dark, the only place open is his. To get in, you'll have to do a bit of underground work and ask the guard at the door that leads downstairs on C/ Constança to take you to the restaurant. Within two minutes of being there, you'll feel like you've uncovered a precious secret. It's a surprisingly tranquil place to dine in such a bustling city. 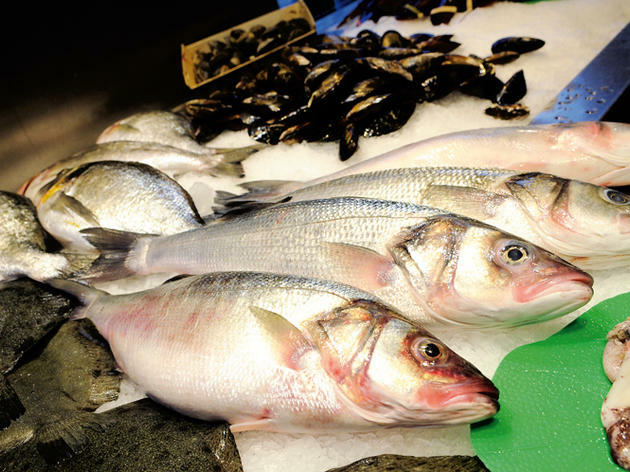 You may have seen Mariscos Genaro trucks around the city, or at least the stall in La Boqueria. 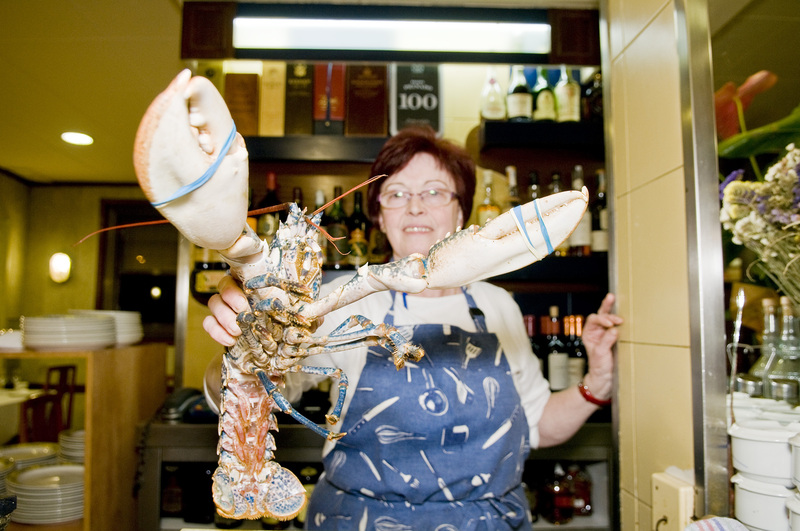 The owner is a relative of Lluís, so the seafood menu at Fishhh is unbeatable. 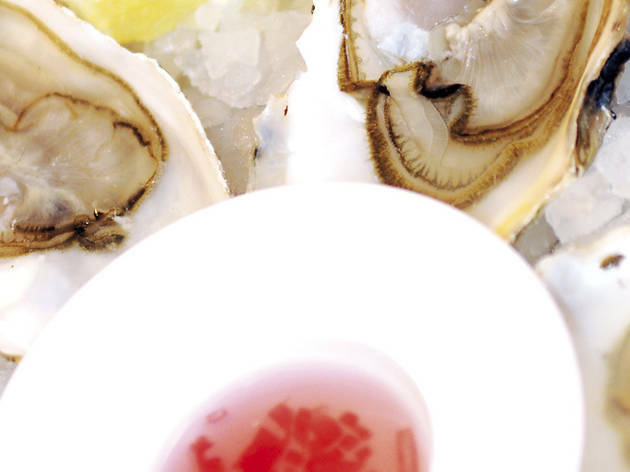 But if there's one thing you can't miss, it's the oysters: they come from Languedoc, Galicia, Ireland, Normandy, the United States, and even the Ebro Delta. 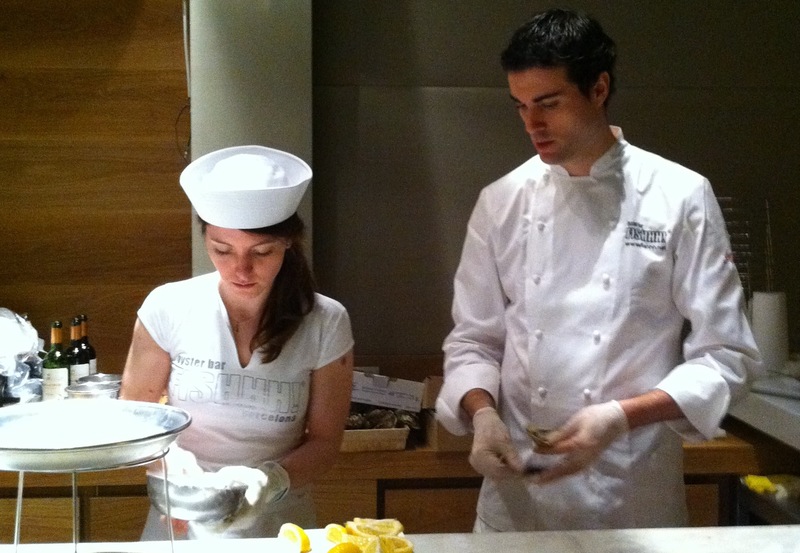 The Fishhh staff will describe the options to you and serve them in extravagant dishes. The Amancio Ortega oysters (Galician, with rapini and albariño) are a version of the classic Rockefellers (American, with spinach). The presentation of the Boston-style tempura oysters incorporates an American flag and everything. And if you're not a big fan of oysters, order the ones with toppings: gin and tonic, Bloody Mary or Fishhh sauce - three condiments that will help show you that the sea-like flavour of a mollusk, as they say, is an aphrodisiac, just like the mood lighting. It seems that opening a seafood restaurant these days is only for the most-skilled entrepreneurs: another who hasn't had to downsize due to all the economic troubles is Víctor Arrese, owner of the MariscCo restaurants. 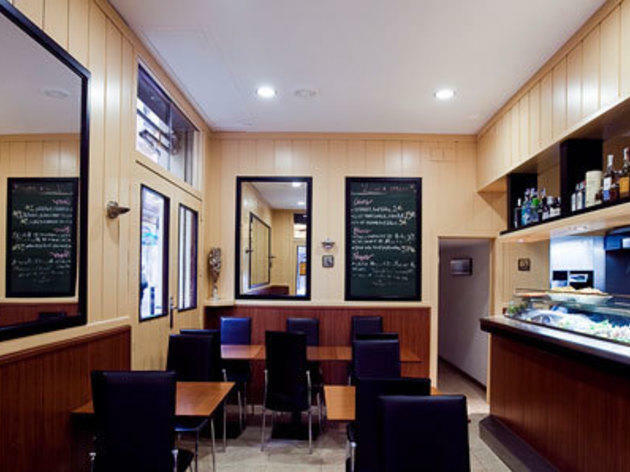 At the moment there are two: the first one on C/ Còrsega is a favourite for Barcelona's foodies. The second, which is just about two years old, is about as central as you can get, on Plaça Reial. Since he opened the second venue, Víctor has shown that the most touristy square in Barcelona 'has improved incredibly'. We pine for their rice, true heroes in a battlefield mined with fluorescent yellow paellas. 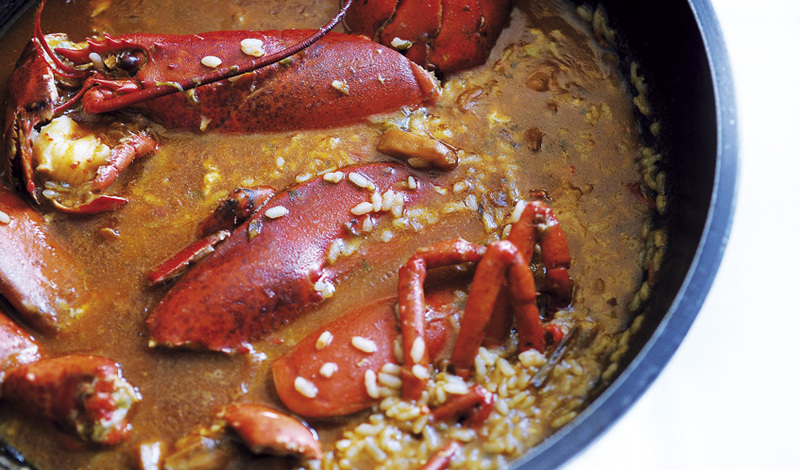 The menu boasts four rice dishes, but it's the wet rice with lobster or crayfish that triumphs. The recipe comes from one of the owner's most-respected cooks, Mònica Mata, his wife. The diligent chef cooks the rice dishes with skill, just like the other hits on this menu full of seafood classics. Ask for the pulpo a la gallega (octopus) and the splendid grilled tuna with soy sauce (Víctor would defend it with conviction before the most stubborn chefs in the world). Looking for good value? They've got it: €30 is the average price. And when the weather is good, the terrace is a must: eating such delicious food at such good prices with such a great view of Plaça Reial, you can't top that. If this is how the poor eat in Calella, they can invite me over anytime. They serve oysters of all kinds, sea urchins and other superb seafood to tempt you at this restaurant at the L’Illa shopping centre. They stay open late at night – that is, when the rest of the shops and restaurants are dark, this is the only spot open. or when the whole plant is dark, his is the only place open. The night guard on C/Constança has to open the door to the corridor for you and everything, like going on a hidden underground adventure. In the wake of the success of the first MariscCo in the Eixample, they've opened another, more central, location. Though here there's a menu instead of the old ordering system of choosing your fish according to weight and prices on a blackboard, they still offer quality and affordable fish and seafood, and you can still see the fish on display. There's an added bonus of an excellent outdoor terrace, where you can eat without paying the usual terrace supplement. 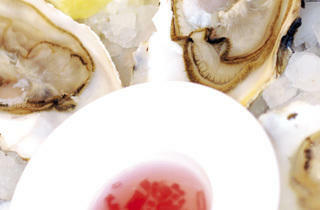 This is considered to be one of the finest seafood restaurants in the city. Off the usual food circuits, Casa Castro serves dishes with the highest of standards. Their grilled prawns, barnacles, turbot and lobster are all sublime. If you’re passing through Les Corts market, this is the place to eat: a stall specialising in seafood (they also own fish stalls here) where you can eat superb grilled fish, prawns and crayfish. 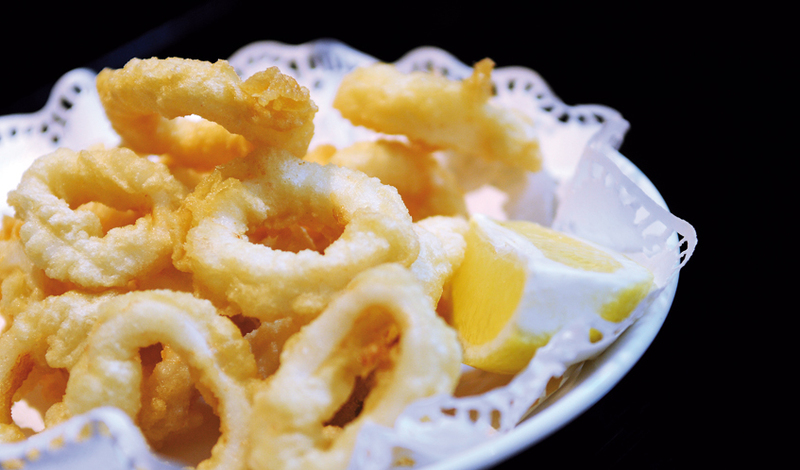 Their squid in batter are also superlative, among the best in town. 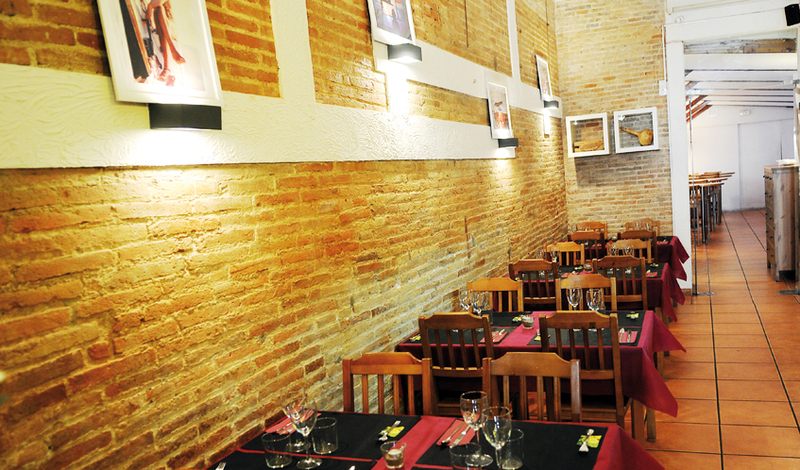 Xavi Ribó, founder of Cavamar, brought his culinary wisdom to where the beloved Teatre Malic used to be. 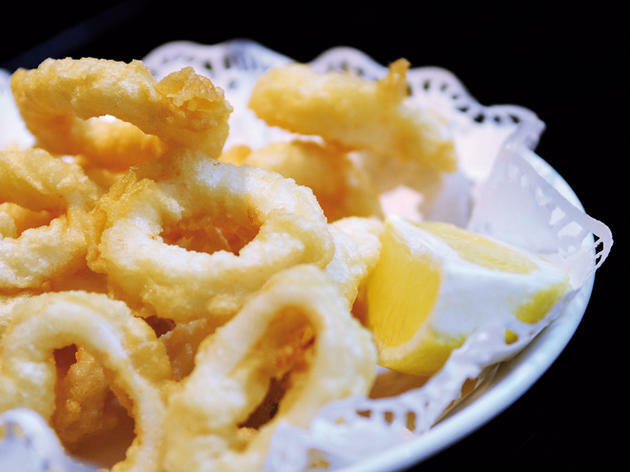 La Gambeta specialises in salt fish, and is known especially for its prawns, brought in daily from Barceloneta. Also good pastas and risottos. This tastefully renovated eatery has become a magnet for seafood lovers, mainly owing to the quality of the raw materials (don’t leave without trying their prawns and squid). 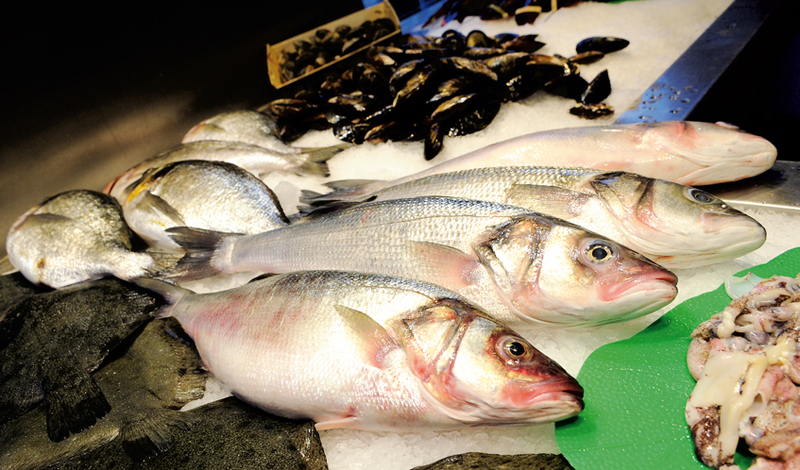 Great fish and seafood. 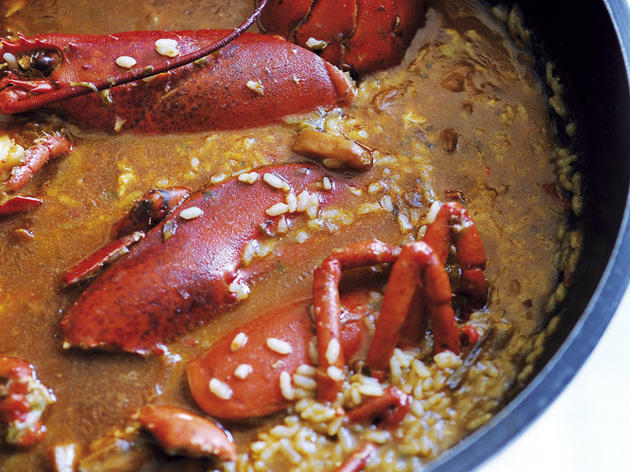 Tino Martínez, sailor and chef extraordinaire, has opened a unusual restaurant in Barcelona specialising in lobster: he has recovered the recipes of the lobster fishermen from the island of Tabarca, and he does so with a menu that includes lobster and rice cooked in the lobster stock.